This past week’s episode was another one solely focused on a few members of the gang. This time, we see where Carol and Daryl took off to and how Carol came to land in the hospital where Beth is currently located. The majority of the episode was the untangling and unearthing of what both Carol and Daryl have become. Before they met, they were each different people, Carol an abused mother, and Daryl a low-level redneck with not much to his name. Now after everything they have been through, they have both matured in different ways, becoming stronger and more empowered and most importantly their self worth has grown. At this point in the apocalypse we see that Carol has become hardened and doesn’t believe in God much anymore, let alone humanity. This struggle of believing in yourself and the goodness of other people was the basis of the episode. At times I felt this one was a bit slower, but I am sure that these types of episodes are strategically placed in order for us to see some character growth. 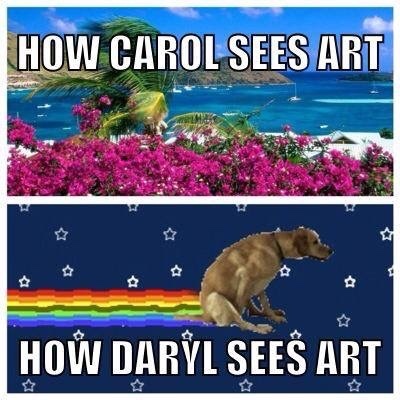 Especially since Carol and Daryl are two of the most popular characters at the moment. Let’s talk about what happened this week. The show started off with a flashback, back to when Rick set her loose, we really never found out where she went. Alone she looks back at the smoke rising from the prison. At that point, that part of her, the one that was part of the gang was gone. We then go right back to the last place we saw her and Daryl, chasing the car with the cross on it that is believed to have Beth. Off they go to chase the car, they follow it and see what looks like 2 cops taking out a body. Of course a walker comes up to their window and almost blows their cover, then their car dies, so they have to hightail it out. Carol says that she knows a place near there where they can hide. When they get there, we find out that it is the women’s shelter that Carol used to go to when she was married. Seeing all of this just puts even in a more somber mood. She asks Daryl about starting over and if he did, to which he replies that he is trying, regardless of their circumstances he is trying to begin anew. In this episode, Carol did a lot of soul searching and she brings up a good point, she says, “I don’t think we get to save people anymore.” I think that at this point she realizes most everyone they meet is dangerous, not an ally like they were in the beginning. As much as she wants to save people, she can’t and this ties back to her killing the innocent sick people at the prison. She killed them to survive, they were not bad people, but she knew she could not save them. Same goes for Lizzie, and both of these moments are brought back in the episode. Inside they hear walkers and they see two of them behind a door, it is obvious, that it is a woman and a small child. Carol wants to open the door and kill them, but Daryl doesn’t let her, he tells her she doesn’t have to do it. In the morning, we see that Daryl has burned the bodies, in a sense letting them die in peace and saving their souls. From there they go foraging to try to get to another building. They go through a hallway that basically looks like tent city filled with homeless zombies. From afar, someone is watching them closely, who could it be? As they each wedged through a chained door to get to another area, that whole system looked like it was going to fail them. It was ominous that something was going to happen with this chained door, since it leaves them in such a vulnerable spot. What they find are luxury offices that look almost intact. Many times on the show, most places they enter look plundered and destroyed, but this place looked different. There is a water cooler that is filled and looks untouched, a neat and tidy desk, it is as the people with money left the city and left behind the homeless, who most likely turned quick. From the window, they can see the destruction of the city. The same view that Beth was able to see from the rooftop. Seeing a city completely deserted and decimated, sends chills down my back more than anything. Before they leave, Daryl talks about a piece of art on the wall, he says it is ugly, but Carol says she likes it, she tells him he doesn’t know her and he gives her a look like shut the hell up, I know you! Throughout the episode, both Carol and Daryl refute what each of them thinks of the other. As they squeeze through the chained door, just as we expected someone is awaiting them on the other side. It’s Noah! The guy that Beth helped escape. He tells them to give him their weapons or he will shoot them. Daryl hands over his crossbow and just like that he is left without his beloved weapon. Carol aims to shoot him, but he stops because he says that he knew she meant to kill him. She tells him she was just going to shoot him in the leg. Umm yeah sure, sure. From the window, they spot an ambulance across the way, which bears a cross and the symbol they have been trying to find. As they cross the bridge alone, the whole scene looked really eerie, just the two of them traversing the world alone. When they get to the ambulance, it is half way falling off the bridge. As they are trying to figure out what to do, they are ambushed by a bunch of walkers and they have nowhere to go, but inside the ambulance. This was probably the best scene of the whole episode. Daryl tells her to buckle up, they are going to do the unthinkable, push themselves off the bridge. They literally land face up and it is a miracle they were not badly injured. Inside the next building, they have another heart to heart moment. The Carol and Daryl soap opera at this point is in full effect. They find a zombie with an arrow in his head and they know the kid is near. Daryl finds Noah, takes his crossbow back and pushes a bookcase on top of him. Carol insists they help him, but instead he finds some cigarettes, lights one and watches Noah suffer. Earlier we were beginning to think that Daryl had lost his edge, become a little softer, but this time around he feels done with helping people. Perhaps this is the duality of being in this world, as Carol said earlier, they cannot save everyone anymore. Meanwhile a zombie is on the verge of killing Noah, despite everything he said Daryl turns around and kills the zombie and saves Noah’s life. They get the bookcase off him and Noah says they need to hurry up because people will be coming for them soon. In the commotion, Daryl asks him if he knows a blonde girl and from there it transpires that he knew Beth. He admits she helped free him from the hospital. As they run out of the building, Carol dashes out in front and gets hit by a car. Daryl tries to run after her, but Noah holds him back. Immediately the cleanup crew come out and take her away on a stretcher. Now we all know where she ends up. 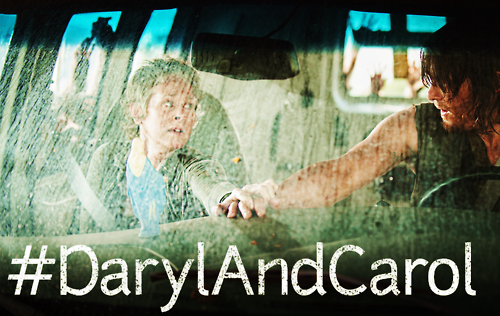 Daryl and Noah find a new truck and are determined on their way to get their girls. How will they get them out of the hospital? Craziness I am sure will ensue once they bust them out. What did you guys think of the Carol and Daryl show? How do you feel about the Noah character? Yes I know I hate everything, but I thought this episode was 98% filler. AGREED!! Totes a filler. Very much soap opera-ish. But hey at least it was revealed what Carol did after leaving the group the first time… nothing! Yes she sat in a room with a candle, big woop! BALLER I need to catch up!!!!!!!!!!!! help! Thanks Mikey, would love to hear your thoughts once you see this episode!